The stock has accelerated too fast from the weekly 5sma. Looks like it wants to revert back to the trend. This would suggest a move to low/mid 150. 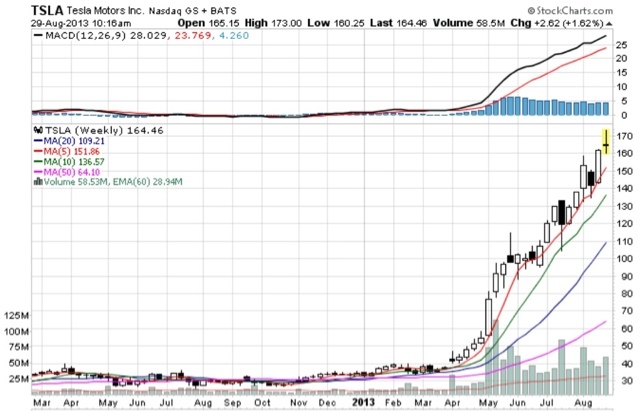 Although, pending market negativity, tsla could see the 10sma. Do you just pull these numbers and levels out of your a$$? Sure some people get their kicks from that sort of things, but i like using charts.